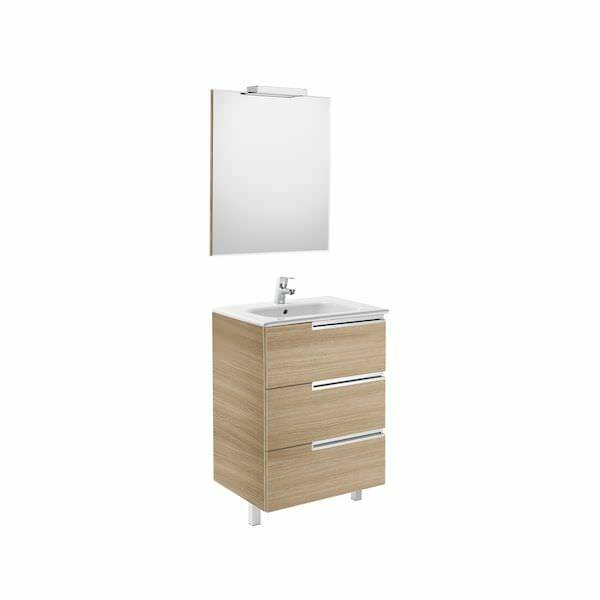 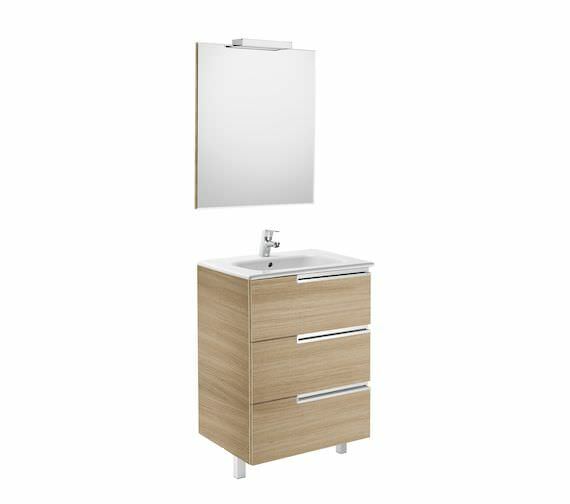 The Roca Victoria-N Vanity Unit Pack is a fine combination of Vanity, Mirror and Basin. 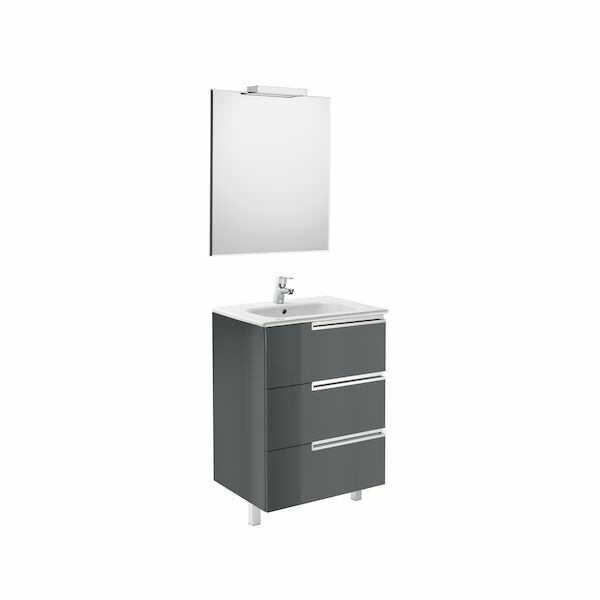 The base vanity unit has a fabulous square design for installation in well-appointed bathrooms. 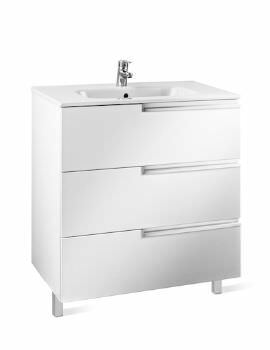 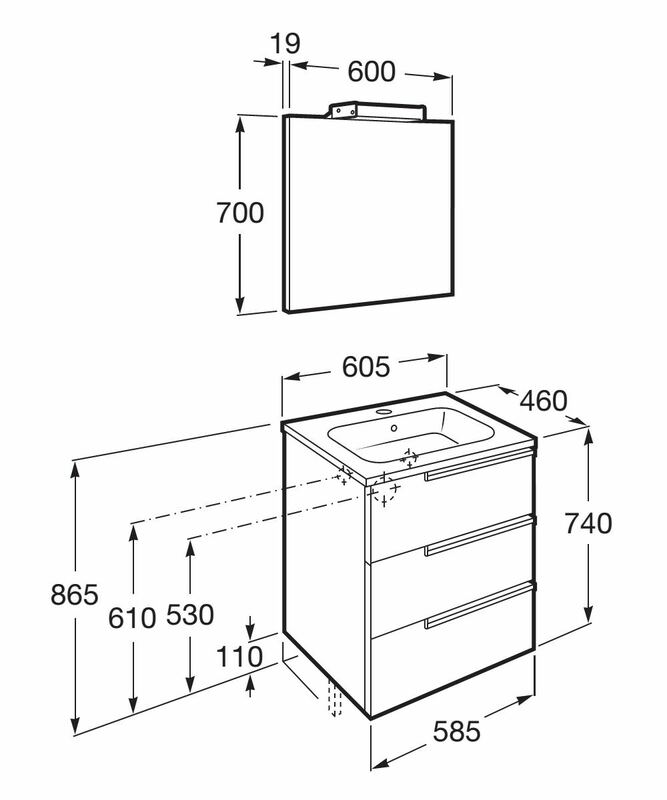 The compact, modern design extends storage space within the 3 soft close drawers. 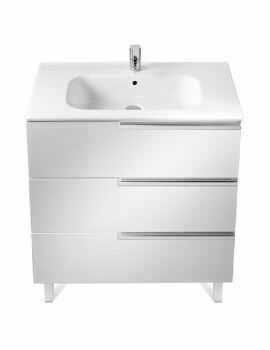 The integral basin has a vitreous china construction and allows a generous fill and a refreshing wash. Its rectangular form lends it an easy and flexible approach to installation. 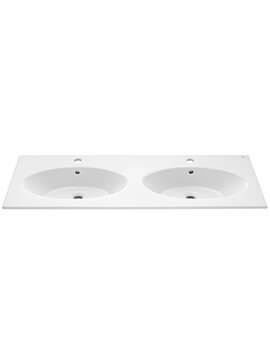 The high quality ceramic of this durable basin is enhanced by a crisp white finish. 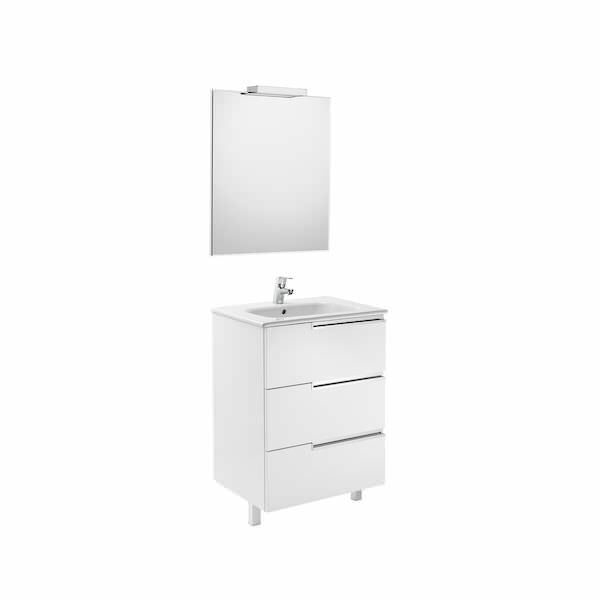 It is supplied with a well-coordinated wall hung a mirror for clear images aiding in daily grooming. 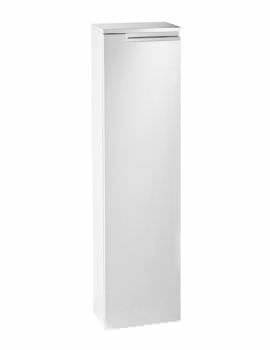 Power per light : 33 Watts.